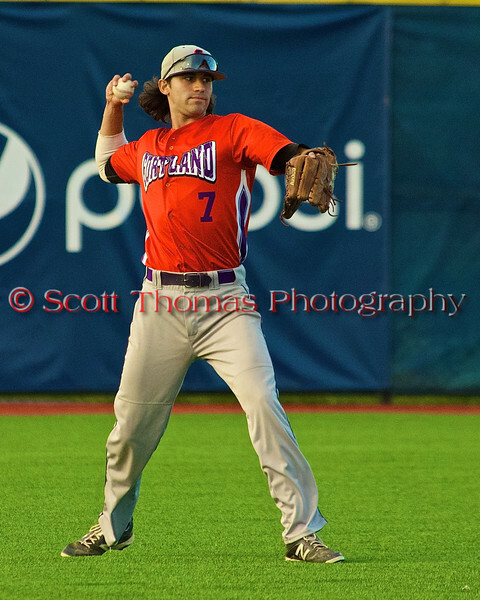 Cortland Crush took an early lead, played great defense and backstopped by a complete game pitches to defeat the Syracuse Salt Cats, 4-1, at the Onondaga Community College turf field n Syracuse, New York on Monday June 29, 2015. SPECIAL: $5 Photo Downloads for Facebook, Google+, Twitter or other Social Media profiles. Select the Download Tab after clicking the Buy button. PARENTS/PLAYERS: Email Scott Thomas Photography using the Contact link below to find out how to get all your High Resolution Images for the whole season for one low price. Click the Buy button above the photos to order one or more than one professional photo lab quality prints. (Note: The copyright watermark will NOT appear on the final prints or gift items.) There's a selection of different print sizes, photo gifts and specialty prints like canvas. Leave a comment if you have any questions. Thank you for your interest and let me know how you feel about the item or items you purchased. Cortland Crush Jose Arebalo (7) throwing the ball in from the outfield against the Syracuse Salt Cats in Syracuse, New York on Monday, June 29, 2015. Cortland won 4-1.